You know that groggy feeling when you woke up every morning? Not because of late night sleep or went yumcha till wee hours in the morning or anything. I will have that uneasy morning. Tried few tips from friends and family until one day I found what worked best for me. It is C-O-F-F-E-E !! What a simple solution. I love drinking coffee every day before I hit the gym or even before going to work. It helps to improve my mood by A-LOT! Since drinking coffee has become a daily routine, it is really important that I find a good quality coffee that is is affordable and convenient. Well.....I’m glad I found McCafe! First of all, the taste. It is rich and has aromatic smell. You know why? 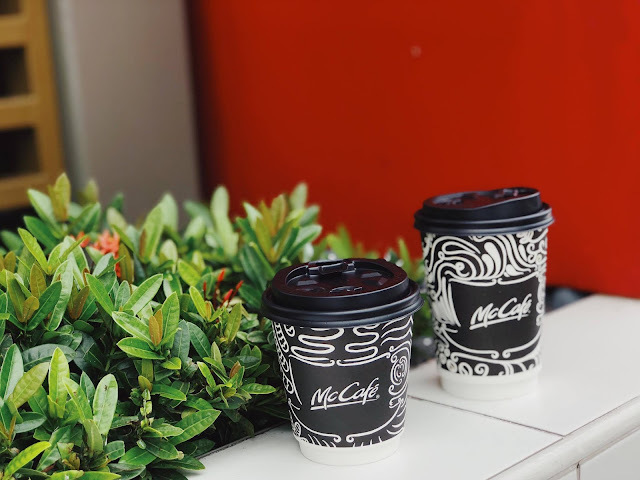 Because McCafe coffee is freshly brewed from 100% premium quality Arabica beans and handcrafted by their trained baristas. With more than 200 McCafe nationwide, it is so easy for everyone to get a cup of delicious rich coffee anytime and anywhere. Whether you are on the way to work, traveling back home, hitting the shops or going to meet friends, it is definitely easily accessible for everyone. Enjoying my cup of coffee with Anerly. 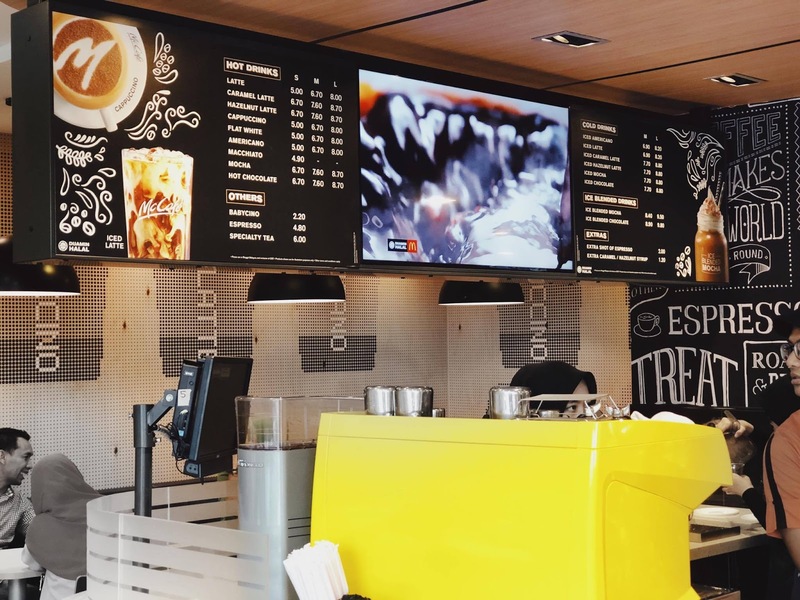 McCafe is now available at McDonald’s restaurant front counter and its selected drive-thru restaurants. Soon, you can even order it from your home! Just sit back and relax while you wait for your coffee delivery through McDonald’s McDelivery Service. The best part is the price. Yes, great tasting coffee doesn’t need to be expensive. You can get this rich espresso coffee starting from just RM5! Great taste at great value and definitely easy on the pocket. I really love how you can get quality and great value premium coffee at McCafe. 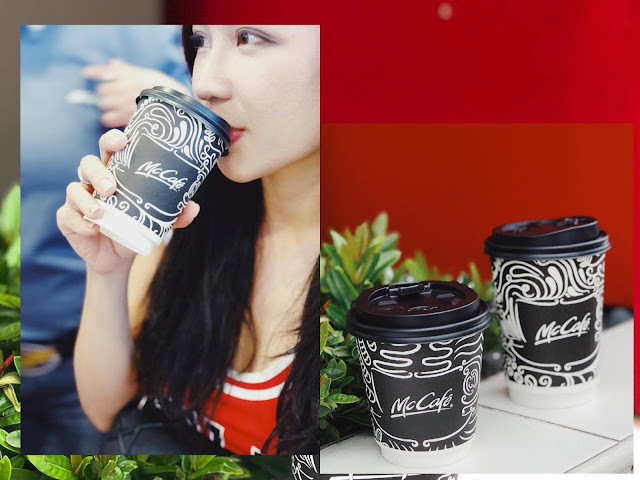 Go to your nearest McCafe and get one for yourself too!